The Chakma people of south-west Myanmar are among the least known Buddhist people groups in the world. They live in the mountains of northern Rakhine State and adjacent southern areas of Chin State. Much larger populations are found in Bangladesh and India. The Chakma are known officially as Daingnet, one of the seven official ethnic groups in Rakhine State. 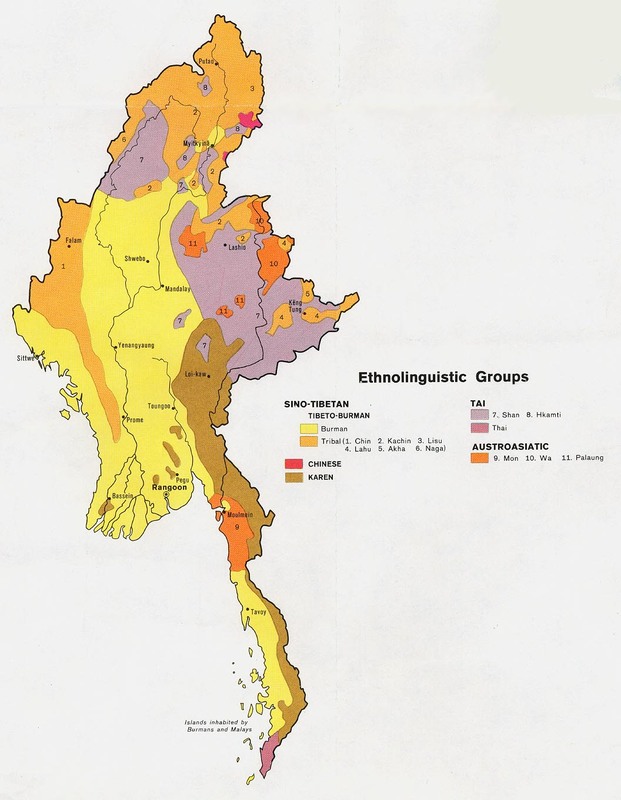 Unlike Tibeto-Burman speaking tribes in Myanmar, who migrated southward from China, the Chakma are believed to have come eastward from today's Bangladesh or India to escape fighting in Bengal to the west during the fifteenth to seventeenth centuries. Because of pressure from neighboring groups, many Daingnet or Chakma are no longer speaking their language and are switching to speaking Rakhine. Because they look similar to the Rohingya in appearance, they also suffer similar persecution. Please pray that the Daingnet could know God's love and acceptance of them. 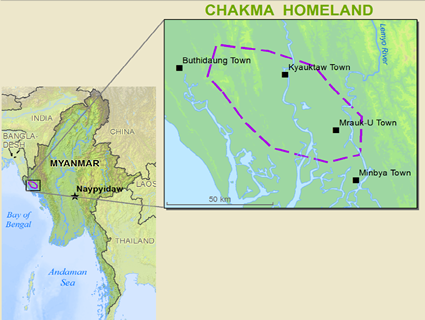 The Chakma claim to have converted to Buddhism long before coming to Myanmar and still practice Buddhism to this day, along with many animistic practices. The gospel has been brought into western Myanmar. There has been enormous success among animistic groups such as the various branches of Chin, but those tribes like the Chakma who had already embraced Buddhism have been difficult to reach. Today there are no known Christians among the Chakma in Myanmar. Location in Country: Chin State: Paletwa township, a few villages; Rakhine State: Buthidaung, Maungdaw, Punnakyun, and Kyauktaw (main concentration) townships.